We are Melissa & Amy, two sisters who are just mad about weddings! In our daily lives we work at The Sweetest Things. Amy is the Store Manager, IT guru and trainee cake decorator. Me – inbetween looking after my 6 month old son I am the Business Coordinator and caretaker of things thrown in the too hard basket. Our world has centred around weddings for as long as we can remember! During the early days of The Sweetest Things mum would bring home wedding magazines that Amy and I devoured from cover to cover and then plan out our far in to the future wedding days from the gown right through to the Thank You cards. From our love of weddings we have come together to create The Wedding Parlour. This blog is our little place to share with you a collective of all things wedding – from the latest gowns down the runway to venues, floral designers and more, plus we will check in with Amy on her progress as a trainee cake decorator from time to time. 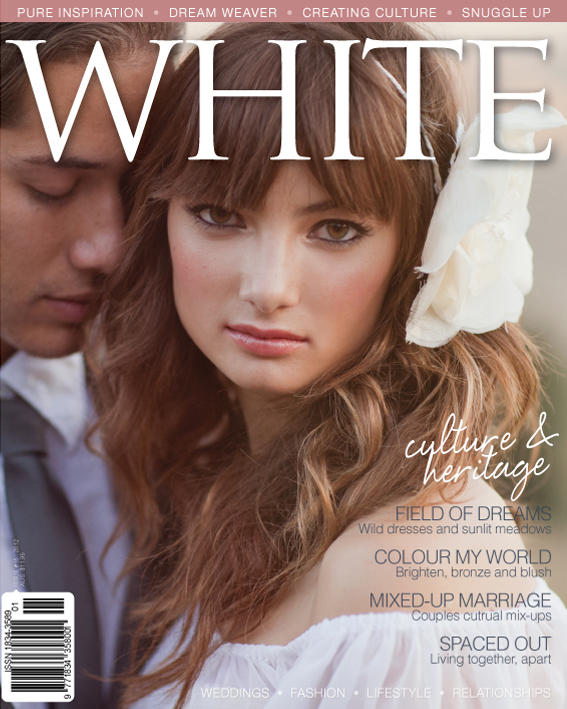 For our first post we approached Carla Burrell, Editor of WHITE Magazine to share how the magazine was created and give us a sneak peak into the latest edition hitting stands today. We truly hope all you gorgeous couples planning your big day enjoy The Wedding Parlour. We look forward to sharing our love of all things wedding with you. WHITE was born from a desire to inspire couples getting married to focus on what is most important… their relationship. Many couples are going into marriage with unmanageable debt, stress and fragmented relationships. WHITE asks the hard questions and subtly weaves a relationship focus through everything, inspiring creativity and personality back into weddings. Issue 15 our autumn edition is out today and is full of lovely surprises. Read about incorporating Culture and Heritgal into your wedding day, learn about family heirlooms and find one to use yourself. Theme your wedding day with one of our four themes just like the one featuring a gorgeous cake by The Sweetest Things and get serious with some down-to-earth honest relationship advice.